RSS (Really Simple Syndication) is the main format used to syndicate web content primarily from news sites and blogs. 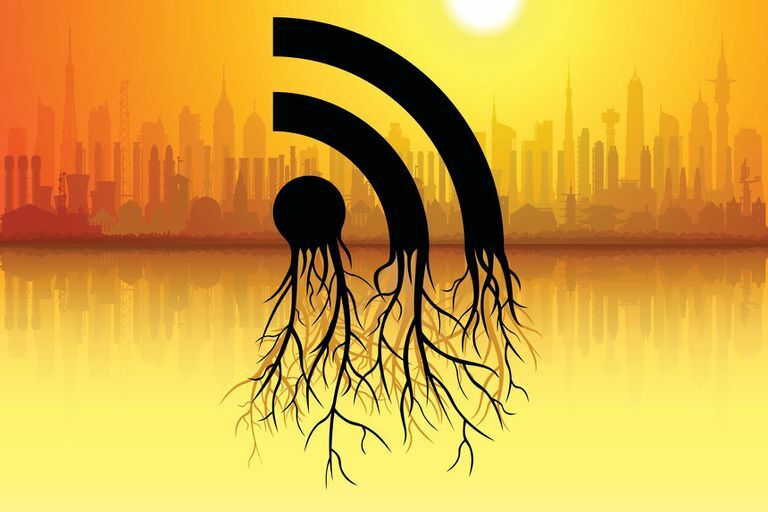 Think of RSS syndication as similar to the news feeds or stock tickers that scroll along the bottom of your television screen when you watch a news channel. Various information is gathered (in the case of blogs, new posts are gathered) then aggregated (or put together) as a feed and displayed in a single location (a feed reader). RSS simplifies the process of reading blogs. Many bloggers and blog enthusiasts have a dozen or more blogs they visit on a daily basis. It can be time-consuming to have to type in each URL and move from one blog to another. When people subscribe to blogs, they receive the feed for each blog they've subscribed to and can read those feeds in a single location through a feed reader. New posts for each blog a person subscribes to are displayed in the feed reader, so it's quick and easy to find who has posted something new and interesting rather than searching each individual blog to find that new content. A feed reader is software used to read the feeds people subscribe to. Many websites offer feed reader software for free, and you simply access your aggregated feed content through a username and password on that website. Popular feed readers include Google Reader and Bloglines. How Do I Subscribe to a Blog's Feed? To subscribe to a blog's feed, first, register for an account with the feed reader of your choice. Then simply select the link, tab or icon identified as 'RSS' or 'Subscribe' (or something similar) on the blog you'd like to subscribe to. Typically, a window will open asking you which feed reader you'd like to read the blog's feed in. Choose your preferred feed reader, and you're all set. The blog's feed will start appearing in your feed reader. How Do I Create an RSS Feed for My Blog? Creating a feed for your own blog is easily done by visiting the Feedburner website and registering your blog. Next, you'll add code provided by Feedburner to a specific location on your blog, and your feed is ready to go! What is the Email Subscription Option? There may be a situation where you find a blog that you enjoy so much you want to be notified via email each time that blog is updated with a new post. When you subscribe to a blog by email, you'll automatically receive an email message in your Inbox each time that blog is updated. The email message includes information about the update and directs you to the new content. Are RSS Feeds Legal to Use on Websites? What Sites Can Be Used to Combine Multiple RSS Feeds?